Minister of Defence Peter MacKay today announced the launch of the Breakout Educational Network’s Civil Military Leadership Pilot Initiative (CMLPI) with a partnership between the University of Alberta and the Canadian Armed Forces. Beginning this September the 4 year pilot program is intended to test the concept for a national program focusing on leadership, citizenship and nation-building. CMPLI is an important step forward. This four-part documentary series looks at why the bonds of the civil military relationship are important, why they have been weakened and how they can be re-connected. Hosted by Senator Pamela Wallin, this series was filmed in Canada, the United Kingdom and the USA. 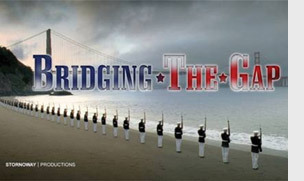 Bridging The Gap, the fourth program in the documentary series Recovering Our Honour, explores the clash of cultures that lies behind today’s civil-military crisis & examines the role played by the university-based Reserve Officers Training Corps (ROTC) program in advancing civil-military relations in the United States. does not exist and none can be invented, but that is no excuse for cultural disarmament."